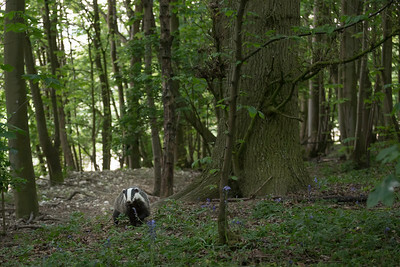 A clan of badgers in a small Kent coppice. 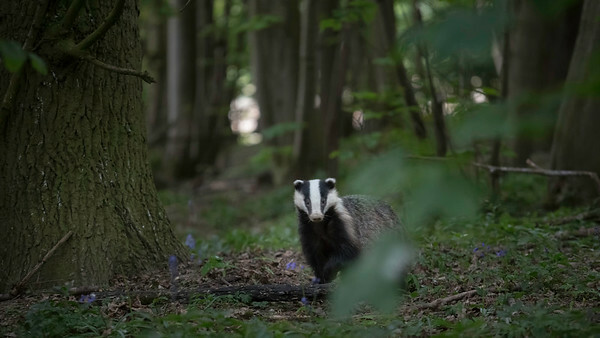 The images in this series or processed to show the secretive nature of the species and the dark densely vegetated woodland where the sett is situated. 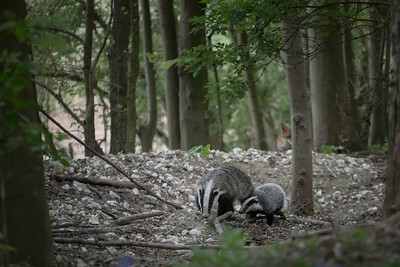 Badger cub under the watchful eye of its mother. Which was fortunate as there is a red fox in the background. After a few minutes the fox decided not to risk it and ran off to find an easier meal. 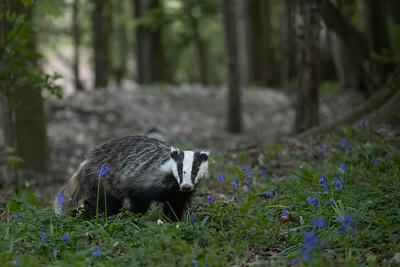 I have always wanted to photograph wild badgers. So last winter I set out to locate some potential setts to work from. I found four in total but for the sake of convenience I chose to start photographing the one closest to my home. I monitored their activity by gathering some images and data on a trail cam (see blog). 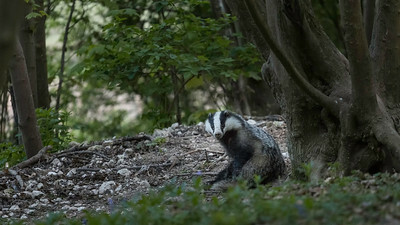 From there on it was a case of arriving at the sett in the early evening, allowing plenty of time to set up and then sitting in position and waiting to see what happened. 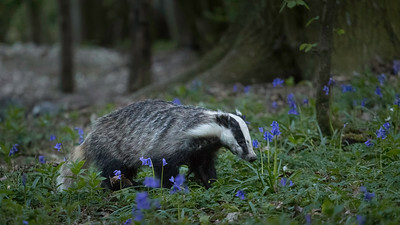 Most evenings the badgers would start to leave the sett between 19:45 and 20:15. 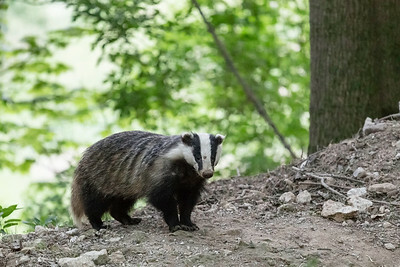 Some nights individual badgers would move between the various entrances to the sett and on other nights they would come out in groups and interact with each other. A badger’s eyesight is incredibly poor and provided you try and blend into the environment it is possible to sit in close proximity to them and go completely undetected. What a badger loses with its poor eyesight it gains in its excellent sense of smell and hearing. If you are detected in either of these ways you session will be over for that day and all your efforts of patiently waiting will be for nothing. 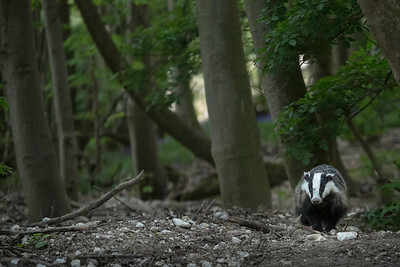 For this reason the camera is set to silent shutter and sit up wind of the sett.